Richo book launch - new dates! It's exhausting business selling books, especially for the self-publisher. 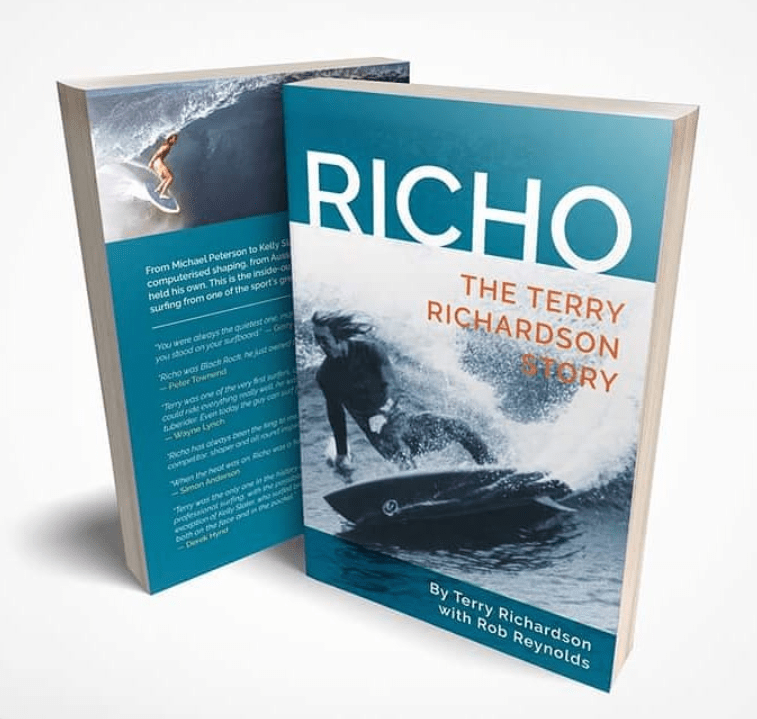 Rob Reynolds and Terry Richardson, authors of Richo's biography, are halfway through a month long road trip selling the book at various coastal towns. Last week they were down south, Philip Island and Torquay, where they jagged a nice little swell, and this week they're heading north. There's been a few new dates added to the schedule. See the updated list below. Shame there's nothing for the mid north coast. Do yourself a favour and read this book. I purchased this book at Bar Beach Bowlo yesterday at a vintage surfboard buy / swap day. this might read a bit creepy.....(i'm not stalking) but i Passed Richo early today on the highway heading Nth outa Newcastle. Being a goofy foot i was half expecting he may have turned up at the same location as myself....you didn't miss much Terry. The fish were on though.